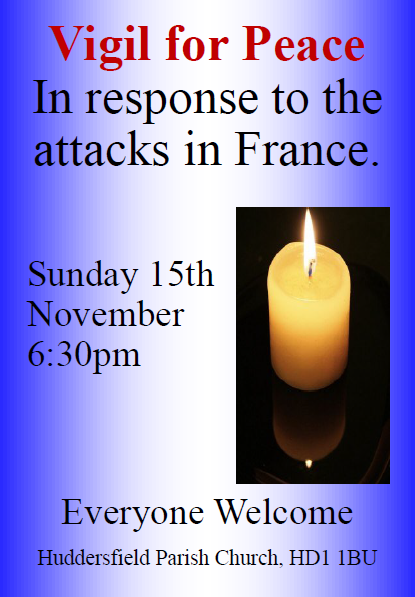 In response to the events yesterday in Paris we are inviting you to come together to pray for peace and to light a candle if you so wish in St Peter’s – Huddersfield Parish Church, tomorrow, Sunday 15th November 2015 at 6.30pm. 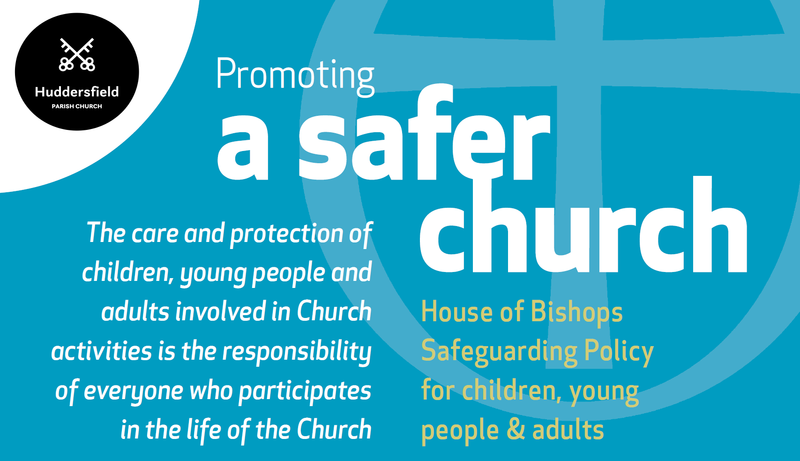 The Vigil will last about half an hour, and we invite you to bring a prayer or reading from you own faith tradition to share, so that we can, together, as people of faith show our solidarity with the victims and our desire for peace in love. There is a poster attached to advertise the event, but as this is our immediate response to these events please use all available social media to communicate the Vigil with your faith community.